The kitchen in any home is a gathering place. It’s somewhere to cook a meal but it’s also somewhere to connect with loved ones, and that’s why it’s such an important part of the home when you’re looking to renovate. Though people tend to renovate all aspects of their kitchen, you may be surprised what some of the most popular are. For most people, the top reason to start the renovation process at all is because they simply can’t stand their old kitchen anymore and so they start looking at everything from the way it looks to the stuff that’s in it. Some decide on major renovations with layout changes and even size changes being the most popular. 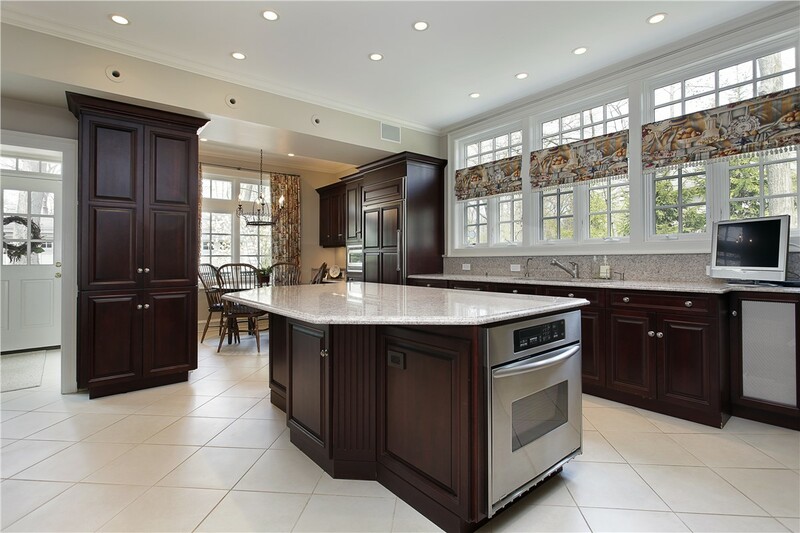 Others decide on upgraded features like countertops and backsplashes. Still others decide to redo the floor, change the style, or change out the furniture. When it comes to making the major changes however, most people are starting to realize that an open concept is the way to go with 46% of people who conduct renovations opening up their kitchen entirely to other rooms in their house. Many are even expanding and reconfiguring the current layout of their kitchen to get an entirely new look and these types of changes are costing a lot of money. For most people, these renovations are the first time their kitchen has been reconfigured or renovated in any way in nearly 30 years and perhaps that’s why they’re so willing to make these types of changes and spend so much money. With the vast majority of people spending between $25,000 and $50,000 on their renovation, it’s no wonder some of these major aspects are the most popular. But those who plan to spend $25,000 or more or generally actually spending over their budget, while those looking to spend less than $25,000 tend to come in under budget. The key is understanding all the needs of the people related to their kitchen. It’s not just about having a place to cook a meal. It’s actually a great place to do a lot more than that and this is why so many renovations are occurring and so many styles are changing as well. With most people coming from a traditional style or no apparent style and going to transitional and contemporary, there’s definitely a lot of in with the new and out with the old. By changing out features and upgrading to new colors, special features and even voice-activated appliances, many people are looking to change their home for the better, and they’re definitely succeeding in many ways. So for those looking to upgrade or change their old home, the key is getting modern in many ways, with open floor plans, easy layouts, high end features and a whole lot more. But keeping it all in the budget just might be a little easier said than done. At least for those who are looking at a more expensive renovation and even higher end upgrades to top it off with.